The Apple Watch is generally the favorite among new tech, but there are plenty of other options. Technology has transformed how we live our lives. In many ways, it has made life better, easier, and more fun. We can utter a command (“Alexa, turn on the light!”) or push a button to do virtually anything. Adults 65 and older are becoming more comfortable with technology and are increasingly turning to technology to enhance their lives. According to Pew Research, four in 10 adults age 65 and older own a smartphone and 32% own a tablet. Considering all that technology can do, it’s no surprise that it can help keep us healthy and improve our overall quality of life. Whether active adults want to hear better, communicate better, or improve their overall wellness, there’s technology to help them achieve it. Here’s a look at some of the newest technology to keep you healthy. Everywhere you look, it seems people are sporting a smartwatch on their wrist. 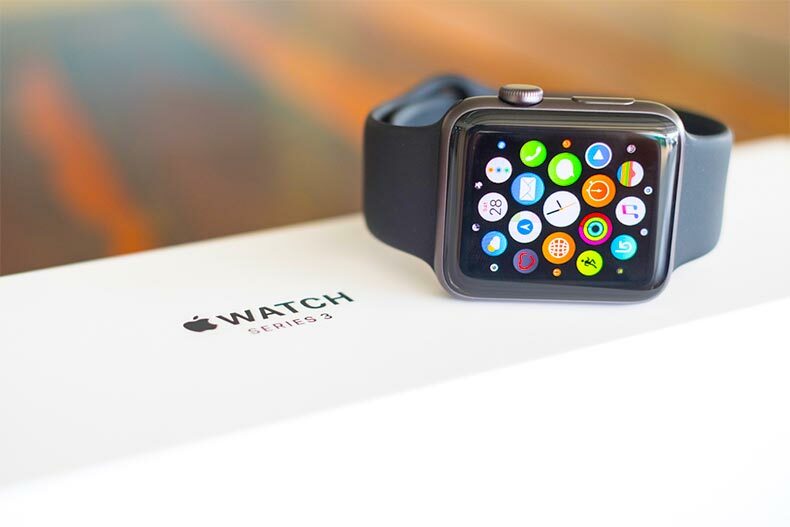 In 2018, smartwatch sales soared to 71 million, according to research firm CCS Insight. By 2022, smartwatch sales are projected to reach 140 million devices. Active adults who want to keep a closer eye on their overall health can turn to smartwatch technology. For the first time ever, Apple Watch includes an integrated electrocardiogram that can alert wearers to an irregular heart rhythm or a dangerously low or high heart rate. Other devices can help active adults monitor or communicate with loved ones. For example, the NurtureWatch is a global tracking and communication device that allows for two-way communication and monitors the wearer’s heart rate. Wearable technology doesn’t only exist in smart watches; active adults can also step out in fashion with smart rings and belts. For example, Blinq rings work with hundreds of apps and feature a built-in S.O.S. alert system so active adults can notify the community in case of emergency. Individuals who worry about falling and sustaining an injury can explore a new product called Hip’Safe. This wearable airbag that fits like a belt around the waist analyzes and follows motion. When a fall is detected, both airbags inflate above the hips, protecting hips before ground impact. Hearing loss is the third-most-common physical ailment behind arthritis and heart disease, affecting approximately 48 million Americans, according to the Hearing Loss Association of America. Active adults who use hearing aids can take advantage of new technologies such as integrated activity trackers, GPS location, and integrated smart assistants. Some hearing devices can even translate one language into another, ensuring that nothing gets lost in translation. Technologically advanced eyewear, such as Microsoft HoloLens and Google Glass, haven’t gone mainstream yet, but active adults may soon be able to explore smart contact lenses. Researchers are currently working on soft contact lenses that can use tears to measure and monitor glucose levels. These lenses could be life-changing for individuals who live with diabetes and must monitor blood sugar. In the future, active adults can watch for smart lenses that are embedded with sensors to monitor other important biomarkers, such as cholesterol and blood pressure levels.